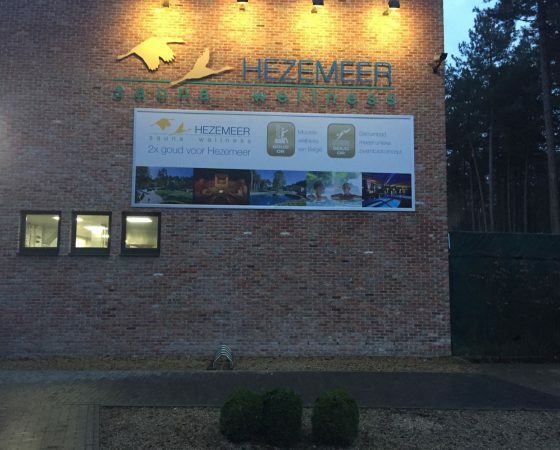 Sauna Wellnes Hezemeer in Laakdal (België). MaxxGrib Step 1,2,3 treatment - MaxxGrib Specialised in anti-slip treatment of all thinkable slippery floors. Our reputation exceeded us at this location. Colleague companies mentioned our quality work and correct service, the reason for this company to invite us to evaluate the slippery floor at the swimming pool and sauna area. The staff was faced here with a 10 year inheritance of no maintenance and incorrect cleaning of the floor. We advised a deep cleaning- and an anti-slip treatment. After we did a demonstration on a part of the floor, we got the order and with our MaxxGrib Step 1,2,3 treatment we finished the works to the full satisfaction of this customer. Swimmingpool De Waterperels in Lier (Belgium) anti-slip.